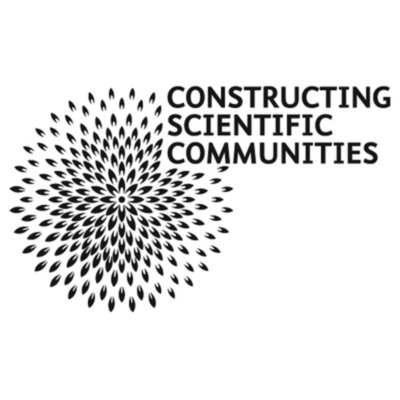 This is Constructing Scientific Communities: Citizen Science in the C19th and C21st. The project is based at the Universities of Oxford and Leicester, in partnership with three of our most significant scientific institutions: the Natural History Museum; the Hunterian Museum at the Royal College of Surgeons, and the Royal Society. The project is supported by the Arts and Humanities Research Council under grant number LH/L007010/1. The project is hosted by the Faculty of English Language & Literature, and St Anne’s College. This is an audio recording of the event Between Rhyme and Reason, which was held at the Royal Society on 7th February 2019, in conjunction with the Royal Society of Literature. Away from labs and fieldwork, scientific theories have long been interpreted and creatively portrayed by the arts. The advancement of technology and increasingly specialised science have made this collaboration more challenging. However, the emergence of citizen science, as well as the burgeoning partnership between art and science, is providing an exciting way forward. Listen to a conversation between Professor Veronica Van Heyningen CBE FRS FMedSci and award-winning poet Don Paterson OBE FRSL to discuss where science and poetry meet. Before the discussion, Don Paterson performs poetry from his role as poet in residence on the Constructing Scientific Communities project, based at the University of Oxford, which is run in partnership with the Royal Society. Don is accompanied by acclaimed guitarist Graeme Stephen. This event was hosted in partnership with the Royal Society of Literature.